Hooray for my first ever Dollywink product! I really wanted to try this brand since then. Everyone is raving about it! 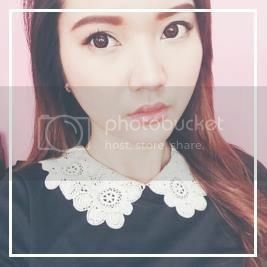 Dolly wink collaborated with the ever pretty Tsubasa Masuwaka a popstar/model from Japan. 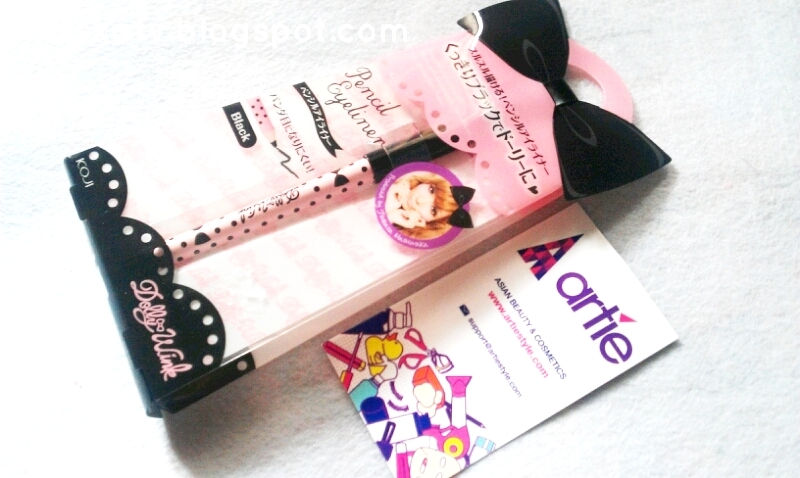 They're packaging is so pretty and girly! They sell eye products, mostly eyelashes, eyeliners and the like. 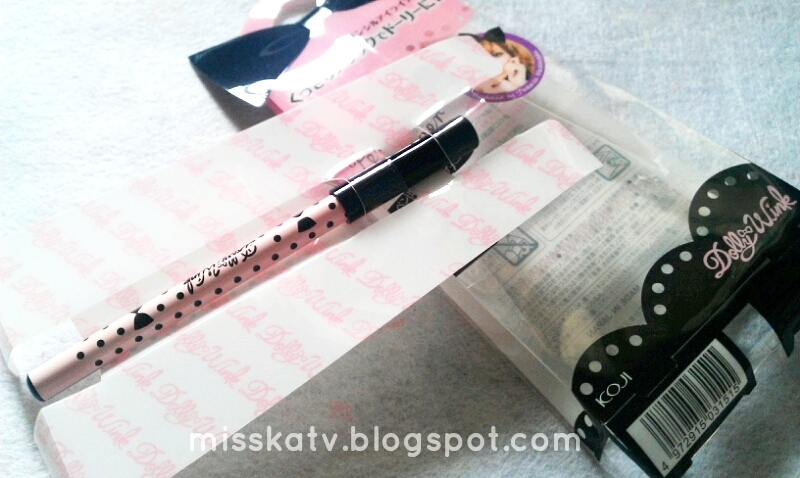 Koji Dolly Wink Pencil Eyeliner (Black) is a water proof eyeliner. 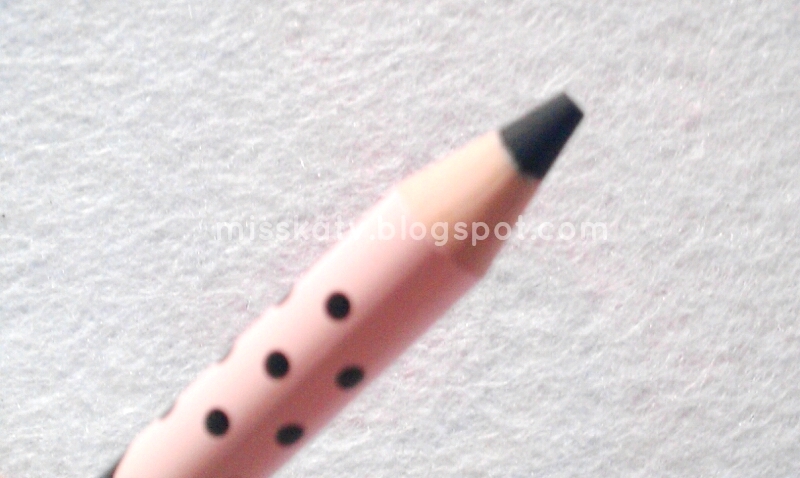 The pencil is soft and smooth, allowing you to draw natural eye lines easily. 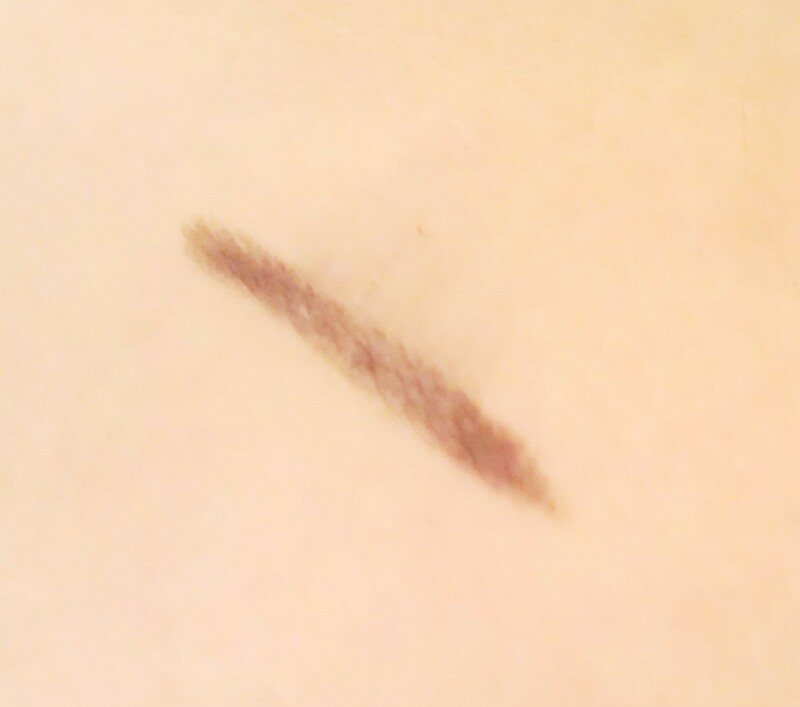 It doesn't smudge or fade throughout the day easily. 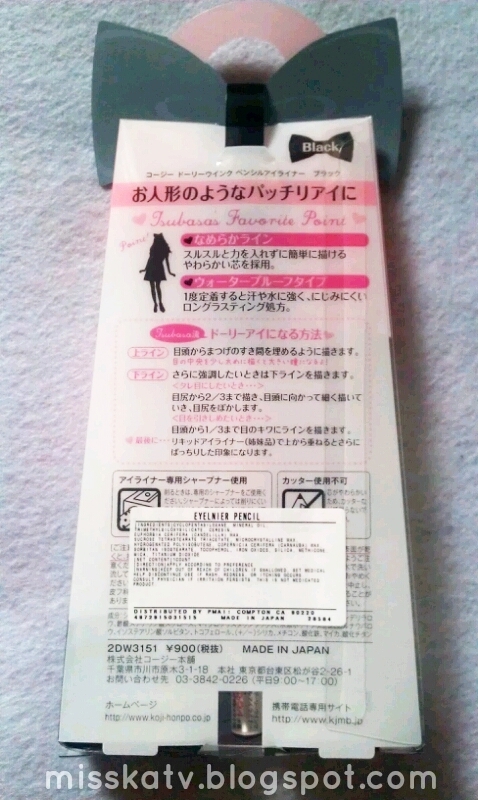 Everything is written in Japanese so I can't stand a thing except for the front side of the packaging. Thanks to Artiestyle website for the translations. hehe. Normally I'm a liquid / gel liner type of girl. But I'm trying to expand my horizons to try different types of products, especially if the brand name is really well known. 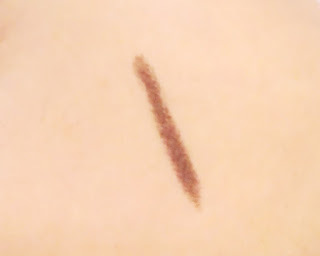 This eyeliner is very creamy. Doesn't drag, tag or pull my eyelids. It's matte and perfect for everyday use. Doesn't transfer to my eyelids. 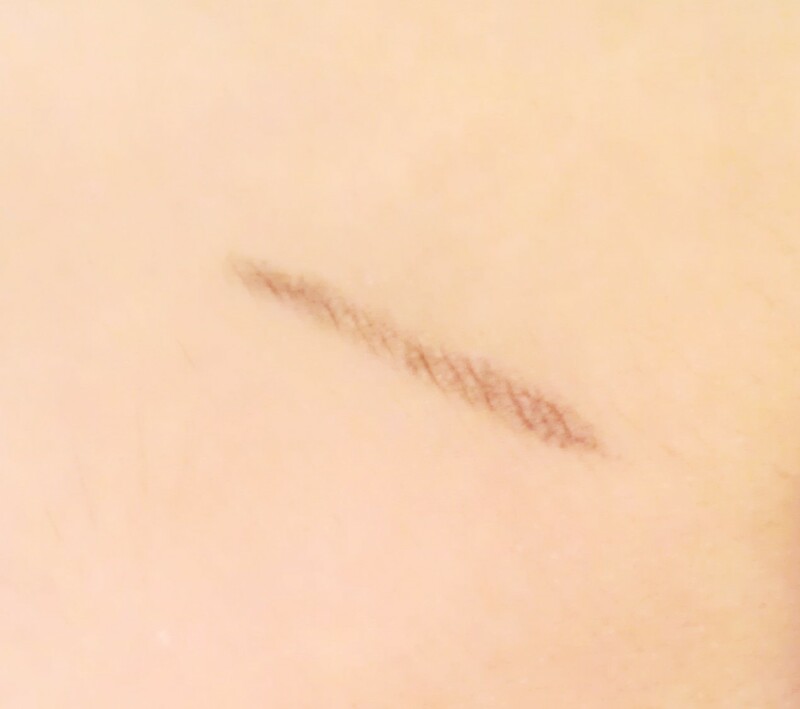 It's okay for everyday look but not for night time or special event's coz it may smudge in time. Does answer emails / inquiry with a very friendly manner. Delivered my package straight to my house without making me go to the post office and pay the duty tax. slightly looks brown with my lighting. But it's totally rich black in color. lightly smudged with my finger. roughly smudge. trying to erase it totally from my hands. I failed. You'll be needing a makeup remover to entirely remove it. yea Tsubasa's range has been mega popular these past few months especially! I had never been a fan of eye liner coz it doesn't look good on my eyes (i think)lol. Wow really cute cool nice I am not much of a makeup person but that look so cute and cool for sure. oh what a sweet eyeliner. <33 Do you know if you can buy it in Germany? 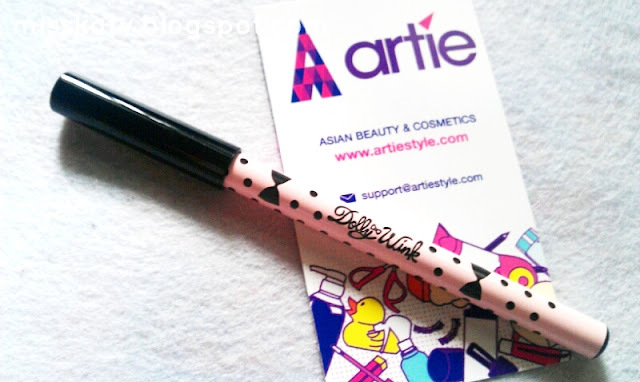 the ever so popular dolly wink eye liner. :) i have heard many good things about this although i haven't had the chance to try one yet. i have the liquid liner which is superb. too bad the pencil doesn't perform as well.